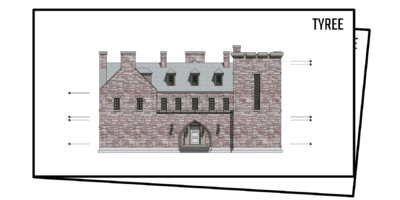 The Jilyn Castle House Plan. 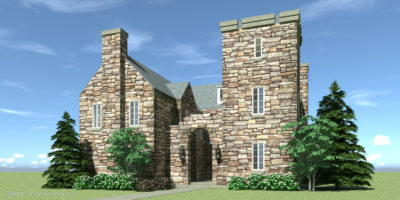 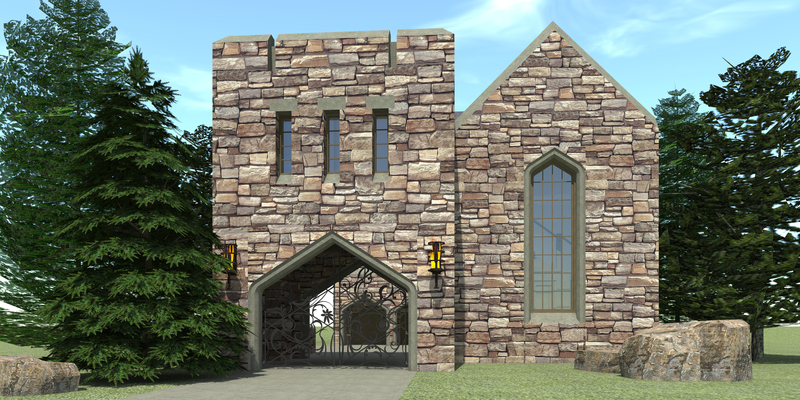 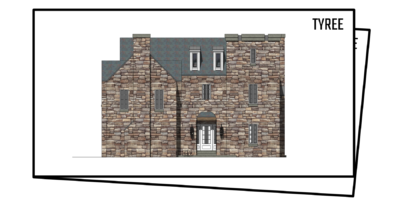 Jilyn is a classic Scottish Highland castle designed to fit on a very narrow lot. 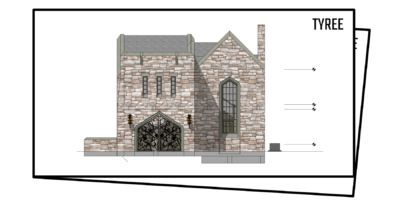 The roof slate, a plywood deck, and 12:12 pitch pre-engineered wood trusses.